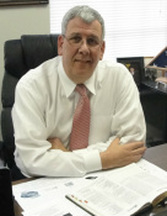 James A. Cohn has been the pastor at First Baptist Church since April 2011. He completed his seminary education at the Houston Graduate School of Theology and his bachelor's degree at High Point University, retiring from active military service prior to his return here with over 27 years of service. Jim is married to Debbie and they have 3 children with 4 really "grand" grandchildren. He enthusiastically and strongly believes in the teaching and preaching ministry of the church and actively participates in our community as an outreach for the fellowship. A native of Guilford County, Andrew J. Reynolds was raised in Sharpe Road Baptist Church, where he accepted Jesus as his Savior, was part of the youth group, served as an usher, and sang in the choir until graduating from Southeast Guilford High School as its salutatorian in 2005. Enrolling at the University of North Carolina, he was active in two organizations: the band and the Baptist Student Union. As a Marching Tar Heel, A.J. further honed his musical skills and developed leadership strengths. Through the B.S.U., he assisted with leading prayer groups and Bible studies. During summers, he went home and volunteered to lead his former youth group. As a sophomore, he began to be convinced of a call from God to Christian ministry. As a junior, it became clearer to A.J. that this call was one to life of vocational ministry. During this growth, A.J. received opportunities to teach and lead in B.S.U., and by The Summit Church. After graduating from Carolina in 2009, we hired him as the interim Youth Director. As he enrolled at Southeastern Baptist Theological Seminary that fall, we called him to serve permanently, in a part-time capacity as the Minister of Youth and Children. In March 2012, he was ordained as a pastor. In the spring of 2013, he received his master’s degree in divinity, and we called him to be our Associate Pastor. He transitioned to a new full-time role within our church, serving as the Minister of Education and Family Ministries. In October, 2015, he gave up his position working with youth, children, and families to take on a different job: Minister of Music. For the past two years, A.J. has led as one of our pastors, overseeing administration, visitation, and corporate worship.